Frostbite Playing Cards are a great new collectible deck for any card enthusiast. 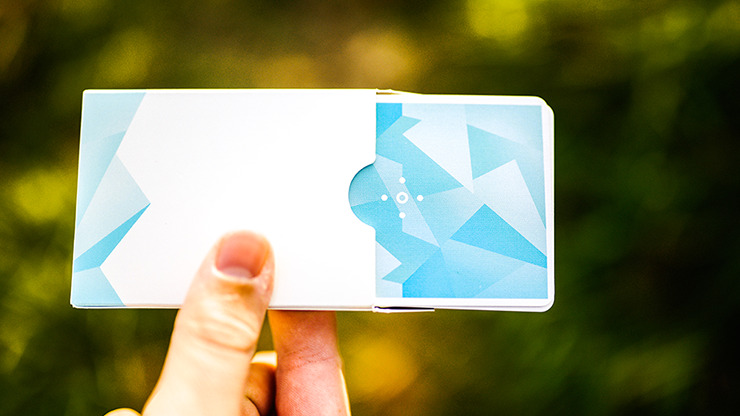 With an unusual design, they're ideal for display on a shelf, or for use with cardistry, or tricks. Frostbites pair a chill geometric abstract back design with custom minimalist faces. 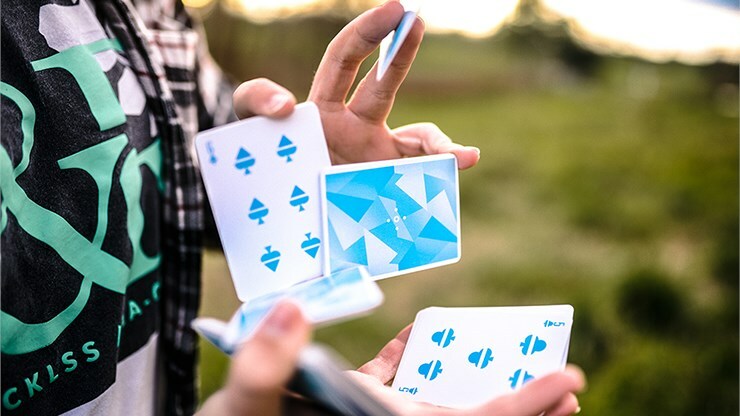 What started out two years ago as a one-way back design has transformed into a striking two-way design perfect for cardistry and magic. The blue and white colorway features triangular shapes and a simplified compass rose design on the back. On the front, you'll find striped pips and geometric court cards. 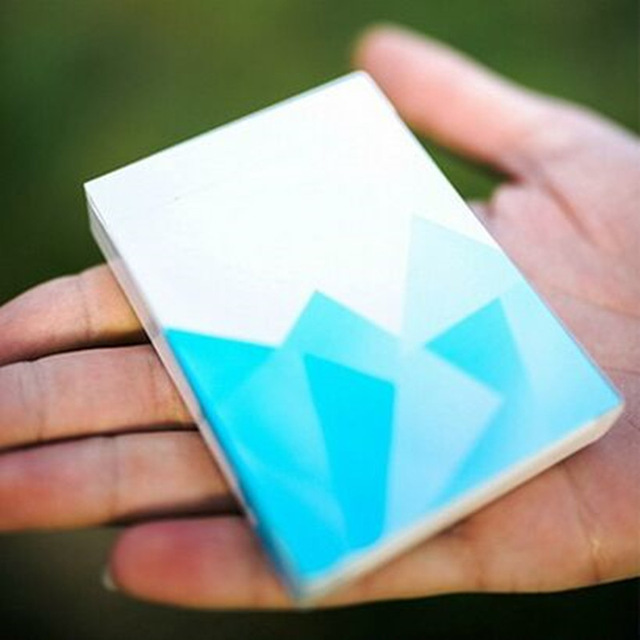 Frostbite Playing Cards combine a refreshing back design with simple and elegant custom faces. 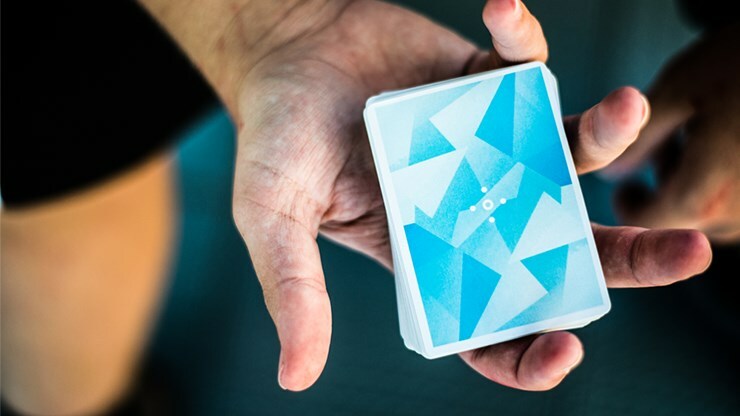 This deck is perfect for any cardist or card magician. The complex back design and minimalist faces create a vibrant contrast for flourishing. 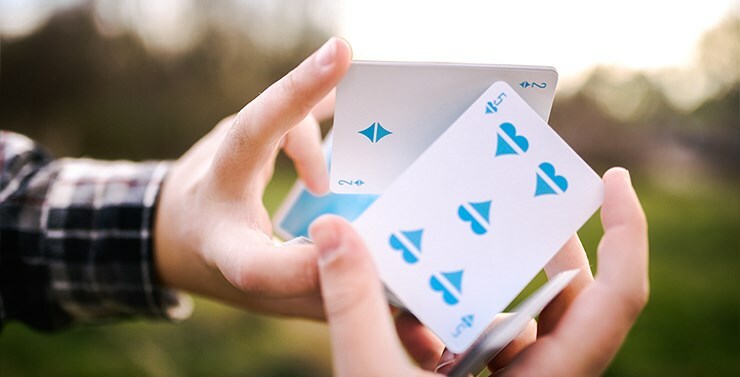 The abstract design enhances cardistry performances by accentuating the flowing and contorting movements that make up cardistry. The deck handles like a champ. Frostbites will be printed by The Hanson Chien Production CompanyZ (HCPC) in Taiwan. Hanson has produced several amazing decks, including the Chicken Nugget Deck and Odyssey Playing Cards by Sergio Roca. The cards will use a German Koehler playing card stock coated with a special finish. They will be standard cut to maximize performance. Under strict quality control, these cards will be a durable addition to your collection. The back design features a frosty blue and arctic white colorway, geometric shards, and a minimal compass rose in the center to highlight spinning and twirling motions. The Aces are simple and sleek. 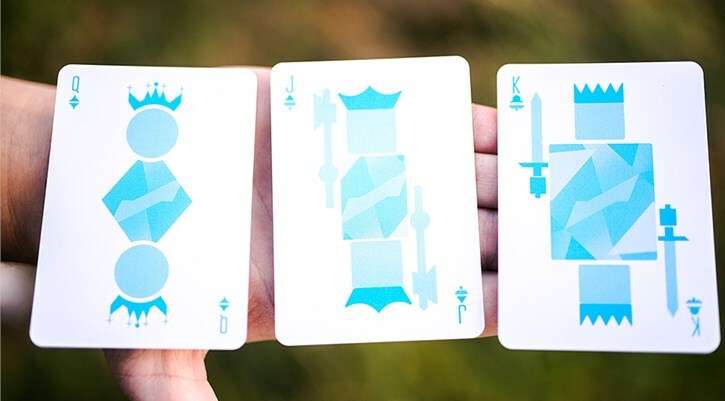 These minimalist Aces retain the simplistic nature of the cards and put a new twist on the traditional Ace design. The Royals are geometrically inspired and polished, continuing the minimalist theme among the faces. The Jokers are not really jokers at all. 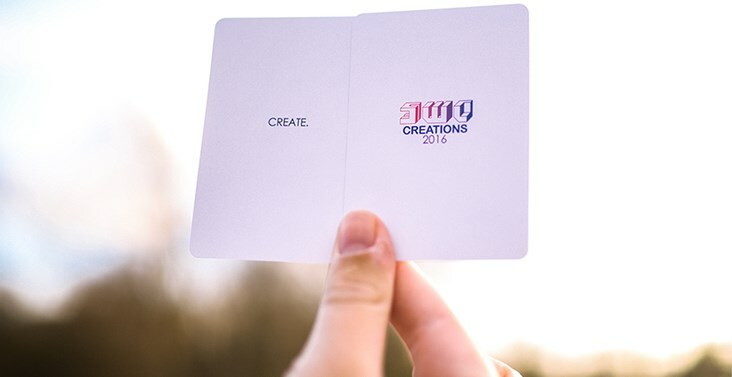 One card features the word "create" to inspire you. The second features my company logo and year of production. The Box continues to carry out the frosty minimalist theme. With little text, the blue icy shards stand out. The "ice" surrounding the bottom of the box will be shiny/glossy, making it look like you just plucked this deck out of the frosty tundra.